A perfect party or Shabbat appetizer: it can be served hot or room temperature and takes two minutes to make! If you’re in it for the meat, add lots more to really have a taste of both in each bite! You can also substitute for kosher bacon. Separate the asparagus into 3 or 4 spears per bundle. Placed on a baking sheet and drizzle olive oil and season to taste with salt, freshly cracked pepper and lots of freshly minced garlic. On a separate plate brush both sides of the pastrami strips with BBQ sauce and maple syrup. 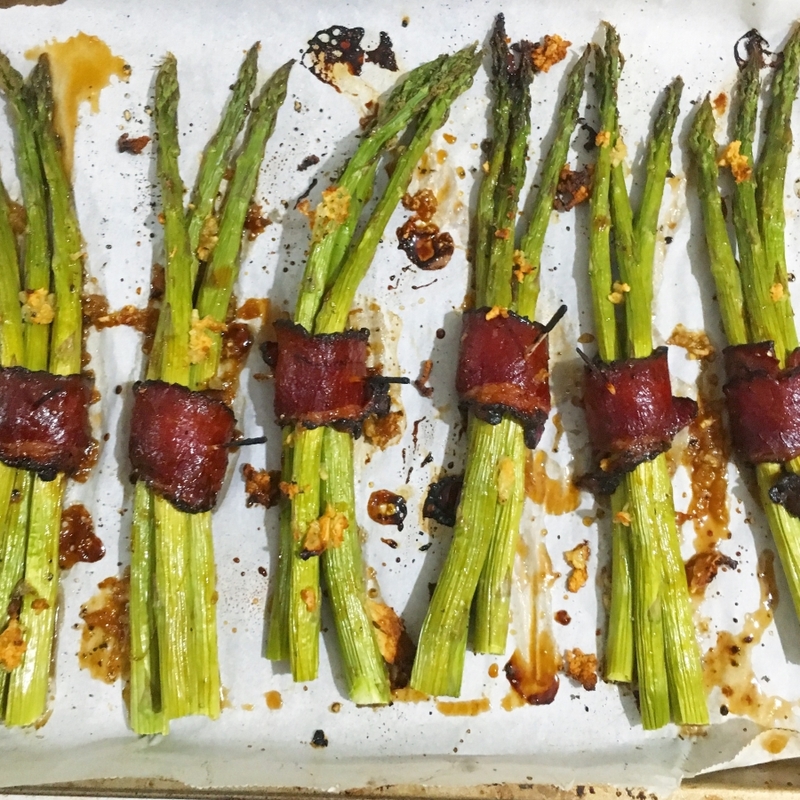 Wrap 1 or 2 strips of pastrami around each asparagus bundle, securing with a toothpick. Bake the bundles for 10-12 minutes. Allow to cool a little, then remove toothpicks. Their are no exact measurements for this recipe so adjust to your taste preferences!